Public lands • While Trump sees boost to “American energy dominance,” critics say industry has thousands of unused leases and drilling permits. Kim Raff | The Salt Lake Tribune An oil tanker uses US-40 to travel from the oil fields in the Uintah Basin to the refineries in North Salt Lake near Daniel's Summit in Utah on May 18, 2012. 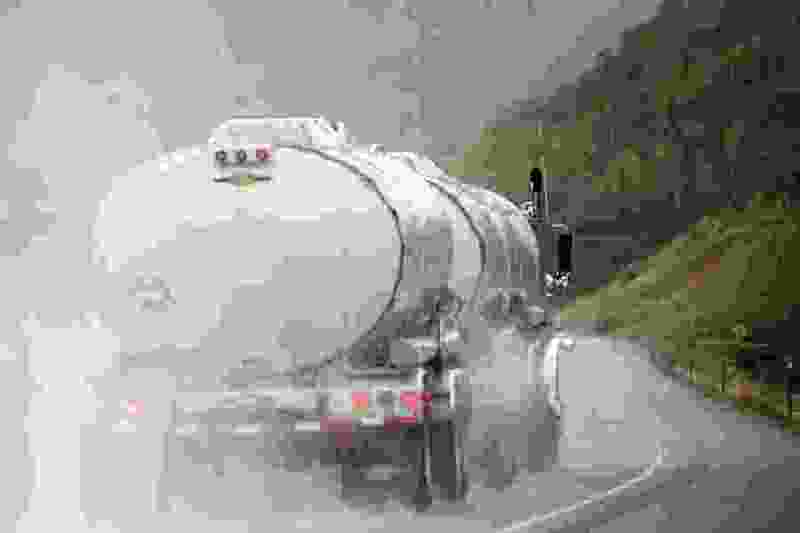 More tankers are expected to be using US-40 in coming years, increasing wear & tear and creating some safety concerns. Zinke signed an order requiring the Bureau of Land Management to speed up approval of drilling applications, known as APDs, and mandating more frequent sales of drilling rights — moves that critics fear may let energy companies sidestep meaningful review of development. In his announcement — which comes as President Donald Trump touts a goal of "American energy dominance" — Zinke called oil and gas production on public lands "an important source of revenue and job growth in rural America." "But it is hard to envision increased investment on federal lands when a federal permit can take the better part of a year or more in some cases," the Interior Secretary said in a statement. "We are also looking at opportunities to bring support to our front line offices who are facing the brunt of this workload." Zinke said 2,802 APDs were pending as of Jan. 31, and that it takes BLM on average 257 days to process them — far in excess of the 30-day limit required by law. The BLM office with the second-largest backlog nationally was Vernal, serving the energy-rich Uinta Basin, with 506. Sen. Orrin Hatch, R-Utah, said he "strongly" supported Zinke's order, saying that streamlining approvals would free energy projects from "excessive regulatory processes" and "generate revenue for local communities and give them more access to energy reserves." 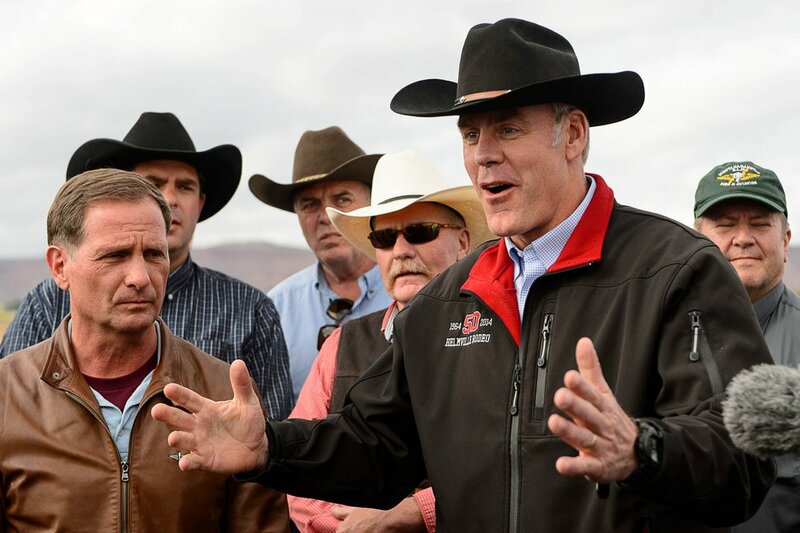 But many observers wondered if Zinke's order would do much to spur energy development, pointing to the even larger backlog of unused drilling permits and the large portion of federal lands that are offered for lease at auction last year failed to sell. As of September 2015, the extractive industry was sitting on nearly 2,000 APDs issued by the Vernal field office for federal and tribal land, and more than 7,500 nationwide, according to BLM data. "Secretary Zinke's order offers a solution in search of a problem," said Nada Culver, senior director of agency policy and planning for The Wilderness Society. "The real problem here is this administration's obsession with selling out more of our public lands to the oil and gas industry at the expense of the American people." In 2015, industry held 645 federal leases that were not being developed, covering nearly 1 million acres in Utah, out of a total of 3.5 million under lease, according to a Wilderness Society report. The BLM administers all 700 million acres of federal mineral resources and is supposed to hold quarterly oil and gas lease auctions in each state. Zinke complained that numerous auctions have been canceled or postponed during Barack Obama's tenure as president. In response to persistent low energy prices, however, energy companies haven't been rushing to buy leases in recent years. They bid on just one-third of the acreage BLM offered in 2016, yet federal acreage that actually yield oil and gas continues to grow, according to University of Colorado law professor Mark Squillace. The BLM leased only 577,000 acres for oil and gas development that year, substantially less than in prior years, Squillace testified June 29 before the House Natural Resources Committee. "In light of slack demand," he said, "this reduction in leased acreage is not at all surprising and it is actually remarkable that during this period the number of producing leases on federal lands has grown to 23,926 – its highest level ever." The BLM in 2016 issued 2,184 drilling permits, yet industry started drilling 847 wells on federal leases that year. "Ramping up the issuance of drilling permits during a time when so many approved permits are not being used would thus seem to be irresponsible," Squillace told the House Natural Resources Committee. That committee's chairman, Rep. Rob Bishop, R-Utah, has a different view, calling Zinke's order " a welcome shift in priorities" that will "foster regulatory certainty and unleash our energy potential." 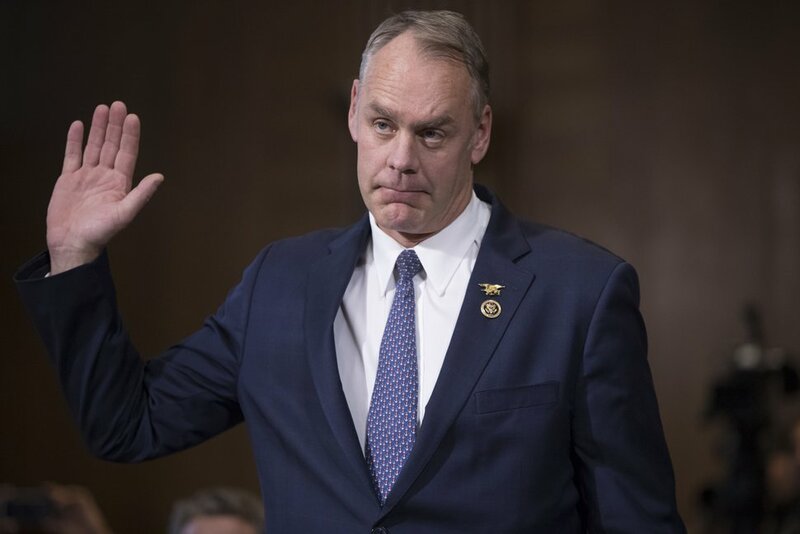 Bishop said in a written statement that his office would work closely with Zinke "to ensure that responsible energy development on federal lands is no longer held hostage to intransigent bureaucracy and ludicrous permitting delays." Those delays have long been a sore point for the oil and gas industry. A 2013 report by the Sutherland Institute concluded that the BLM took on average 307 days to process drilling applications in Utah, but the agency contended that in many cases, incomplete applications delayed processing. Trump's proposed budget calls for a $16 million increase to the BLM's oil and gas program to support permitting and processing rights of way. Brian Maffly covers public lands for The Salt Lake Tribune. Maffly can be reached at bmaffly@sltrib.com or 801-257-8713. 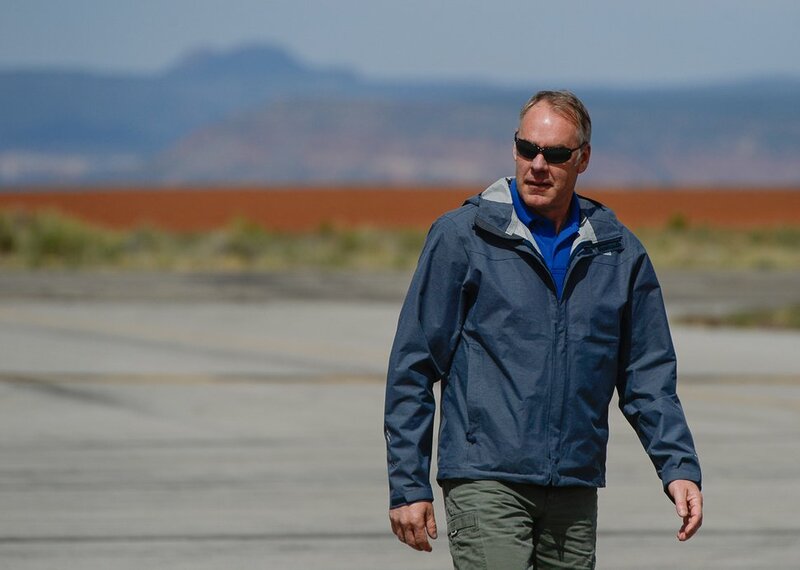 Francisco Kjolseth | The Salt Lake Tribune Interior Secretary Ryan Zinke arrives at the Blanding airport on Monday, May 8, 2017, for an aerial tour of the recently designated Bears Ears National Monument in southeastern Utah by President Barack Obama on Dec. 28, 2016. Trent Nelson | The Salt Lake Tribune Secretary of the Interior Ryan Zinke speaks at a news conference at the Kanab Airport, Wednesday May 10, 2017. Standing with him were Rep. Chris Stewart and a group of county commissioners.